Mid-century, minimalist and striking. 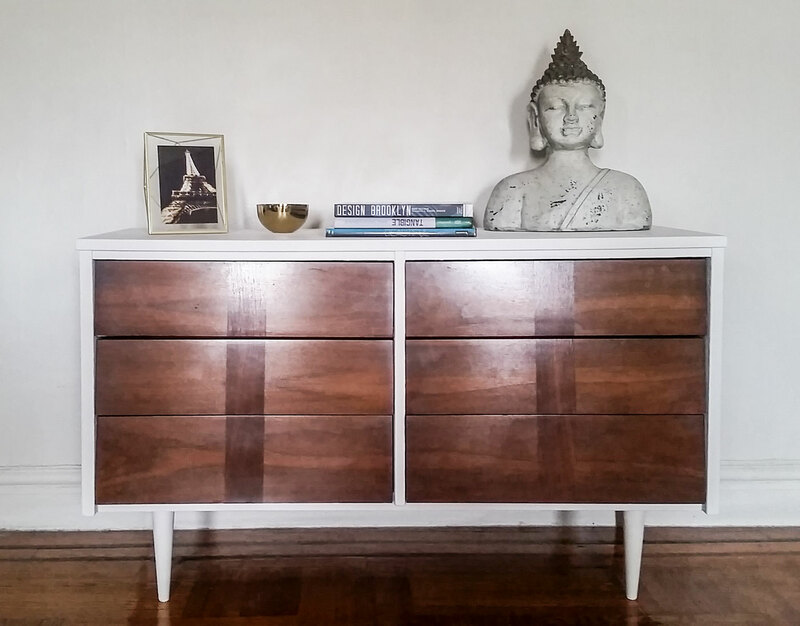 We turned a vintage dresser modern by coating the frame and peg legs bright white—a stark contrast to the deep brown wood. We then polished said wood for an extra clean look.